More than 130 faculty and staff were honored at the Annual Awards and Recognition Dinner on November 8. 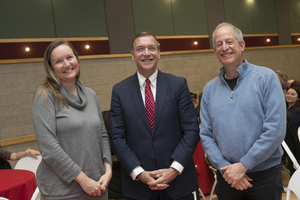 President Samuel L. Stanley Jr., MD and Provost Michael A. Bernstein hosted the event that celebrated faculty achievements and Chancellor’s Awards and Presidential Mini-Grants recipients. President Stanley (middle row, far right) with this year’s Chancellor’s Award recipients. 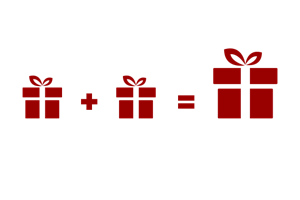 President Stanley began by recognizing the individuals who received Presidential-Mini Grants. 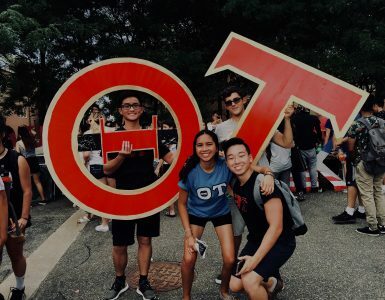 Through these mini-grant awards, the University helps bring to fruition ideas and projects that will improve “our research and our ability to work together with a greater understanding of one another,” he noted. Provost Bernstein then took to the podium to highlight three individuals who had earned very prestigious awards but could not attend the dinner: Alexander Zamolodchikov, professor in the CN Yang Institute for Theoretical Physics, was inducted into the into the National Academy of Sciences; Alan Alda, visiting professor in the School of Journalism, was awarded the National Academy of Sciences’ Public Welfare Medal; and paleoanthropologist Meave Leakey was awarded the Hubbard Medal, the National Geographic Society’s highest honor. He also took a moment to acknowledge Dr. Aniko Paul, widow of Distinguished Service Professor Peter Paul. For nearly fifty years, Peter Paul was a prominent member of the Department of Physics and Astronomy and of Brookhaven National Laboratory. With his death in March of this year, he left behind a legacy that will be remembered for years to come. 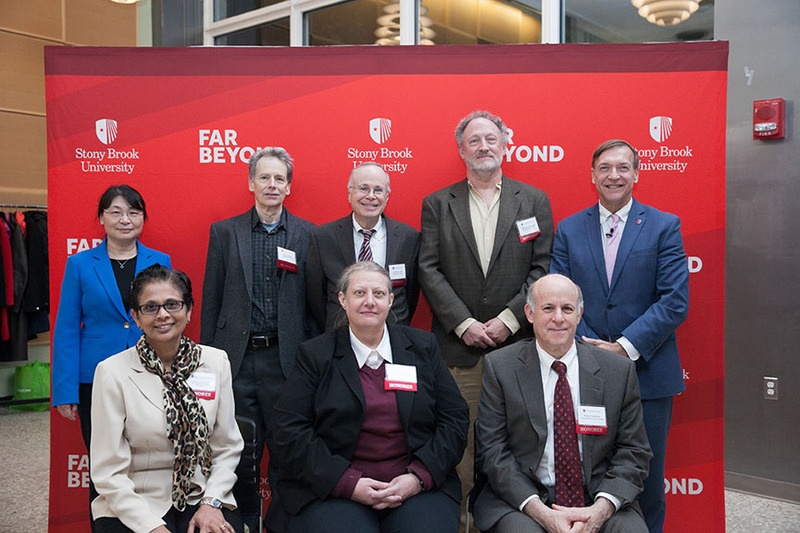 “Tonight we honor Professor Paul not only for his work with the Stony Brook team that won the 2016 Breakthrough Prize in Fundamental Physics but also for his lifetime of contributions to the growth of his department and his field and for his impact on thousands of Stony Brook students,” said Bernstein. After the Deans of each college took turns honoring their faculty, President Stanley returned to the podium to acknowledge the 2016 appointments to Distinguished Faculty and the 2017 recipients of the Chancellor’s Awards for Excellence. 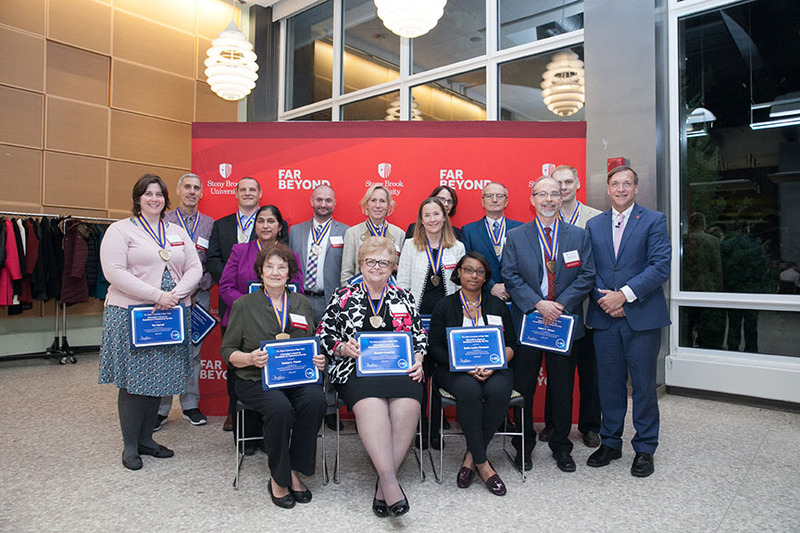 For more details on the awards received by the Mini-Grant recipients, please visit stonybrook.edu/pres/minigrants/.